Multi-staging at its best! Using two stages for power, the CC Express zooms through the sky at supersonic speeds while achieving heights of over 1,700 feet. This Skill Level 2 is a true modeler’s kit to build and a high flier’s dream rocket to fly! Rocketeers aged 10 and up can enjoy high-altitude thrills, with adult supervision for children under 12. Move up to extreme, high-altitude flying with the multi-stage CC Express. This extremely fast, superior two-stage rocket has two engines, each used during different portions of its flight. Each stage (engine and support unit) is dropped when it ignites the engine in the stage above it. 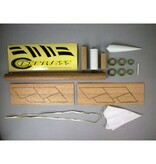 This kit is a must have for any rocket enthusiast looking for ultimate, high flying excitement! After its journey, the CC Express floats back to the launch pad on a decorated 18 inch preassembled parachute. Adding to your growing fleet of Rockets? 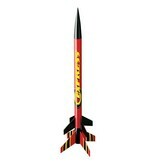 Check out another thrilling multi-stage favorite, the Mongoose Skill Level 1 Model Rocket Kit. In addition to the excitement and entertainment it provides, rocketry also has significant educational value. Model rockets transform kids into amateur rocket scientists, encouraging them to think about how the rockets work. Rocket building teaches kids the basics of propulsion, flight, and aerodynamics, and can help foster an early interest in science and engineering. 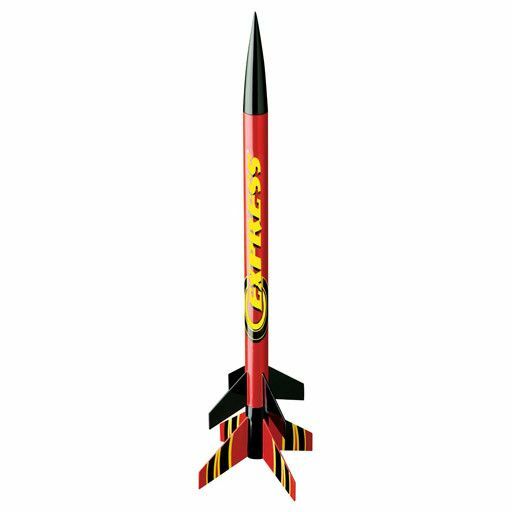 Skill Level 2 is the first tier of more advanced kits that require beginner skills in model rocket construction, finishing and painting. Quality Estes body tubes, laser cut wood fins, molded plastic nose cone and Self-stick decals make experience necessary to build the CC Express but the end result is worth the effort. 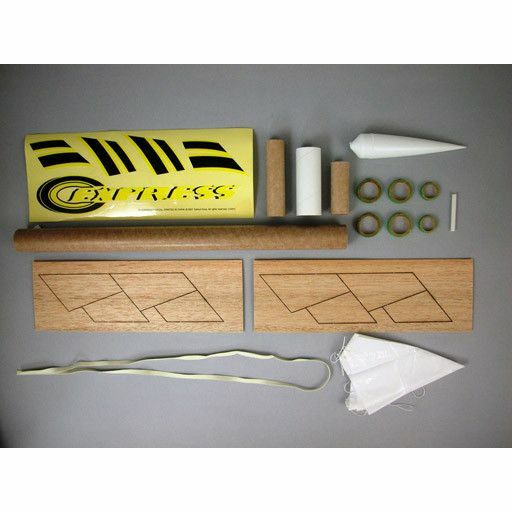 The CC Express requires an Estes Launch System, 3/16” Maxi Launch Rod and Estes engines for the launch (not included). For Single Stage launches use a D12-5 engine. For Two-Stage launches use the D12-0 for the Booster and a D12-7 engine for the 2nd Stage. Unless otherwise specified, all models require assembly. Tools, construction and finishing supplies sold separately. In order to launch, a launch system, model rocket engines, igniters, recovery wadding and four 'AA' alkaline batteries are required – sold separately unless otherwise specified. Read all instructions before beginning. Make sure you have all parts and supplies required. Test fit all parts before applying glue. Sand as necessary for precision assembly. Product color and shape may vary. When launching, stand back as far as the launch controller cord will allow (15 feet). Rocketry is not intended for indoor use. Choose a large field (500 feet), free of dry weeds and brown grass. Launch only with little or no wind and good visibility. Estes body tubes, laser cut wood fins, molded plastic nose cone, selfstick decals, preassembled parachute and instructions.